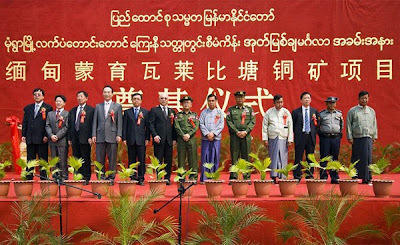 See the Chinese like Red colour,starts in every place of Burma. Burma becomes one of the Chinese province,sure.Many Burmese ladies were going to Border,to gets 30 lakhs,and becme Chinese wives to born Babies,Is that Good,and fair ? Wan swe Wan swe,wan wan swe. 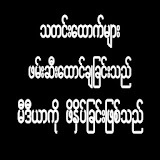 U Paing is under Than Shwe and his military thumbs. . Also Thein Sein can’t and will not against them (of course he needs to protect himself ). They have been sucking our country and all of our nation’s blood, worse than vampires. I can’t stand with U Paing.